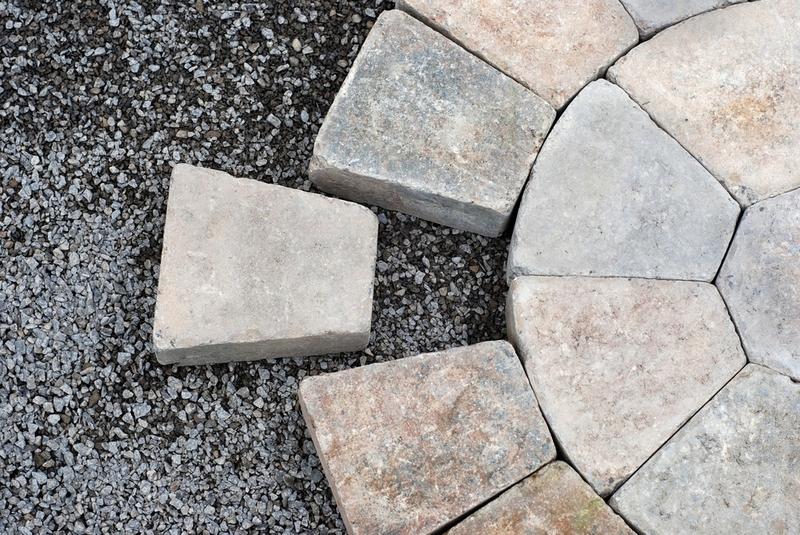 When a do-it-yourself landscaping project is finished, there’s often material left over, like bricks and chunks of concrete. Not to mention, there might be equipment that you no longer need. So what are your options? Well, you could throw everything away or donate it. Or you could get your money’s worth by saving it until your next landscaping project comes around—if you’re particularly hands-on when it comes to your yard, you know that’s bound to happen. But where can you keep these extra supplies and tools? Having a big stack of bricks and wheelbarrows scattered all over your garage or driveway is a nuisance. If you want to keep your landscaping project supplies without taking up valuable space, rent a self storage unit! Non-electrical equipment simply needs to be cleaned before storage, as dirt, grass, and other debris will draw insects to your storage unit. With sharp tools like hedge clippers and tillers, be sure to wipe down the blades and sharpen them so they’ll be ready for immediate use the next time you work on your home’s landscaping. Electrical equipment like edgers and lawn mowers, however, require special maintenance before storage in order to keep everything functioning properly. Maintenance is also important for those storing electrical equipment in regions that see cold winters. It can’t be stressed enough—don’t forget about your equipment’s maintenance before it goes to storage. When looking for the right storage facility, keep in mind that you might be storing expensive tools, in which case you’ll want a facility that offers some protection against break-ins for your items beyond a unit lock. You may also look at facilities that offer climate-controlled storage. This is useful if you plan to store moist materials like mulch, which can stimulate mold growth when kept in confined environments with too much heat and humidity. Climate control can even protect the internal circuitry of your power tools from damage caused by extreme temperatures and humidity, too. As for unit size, the amount of supplies and equipment you need to store will ultimately determine how much space you’ll need. For instance, if you’re storing small equipment along with a few hand tools, such as rakes and trowels, a 5×5 will be more than enough to satisfy your needs. The same applies if you’re storing, say, a small tub of bricks. But what if you’re storing piles of stone, shovels, wheelbarrows, tillers, bags of dirt, and more? “It depends,” says Corona. “If you’re storing items you want to access [easily], I’d recommend a 10×15 or a 10×20.” Having a larger unit makes it more convenient to find items in your unit without getting injured. Also, it’s easier to organize your supplies in a larger space. Lastly, be aware that most storage facilities have policies about storing hazardous materials. Corona recommends not storing “insecticides or anything that might be flammable” in your unit, as this is a safety hazard and could lead to you being vacated from the premises. For similar reasons, don’t store gas or other fuel sources in your unit.